… They are commonly known as “garbage disposals” because they are mainly fed with garbage & sick or weak fish, making them the official “cleaners” of the marine environment? 100 million sharks are being killed every year? … They are vulnerable to overfishing, they are slow-growing and slow to reproduce? That’s why this wonderful species is endangered. 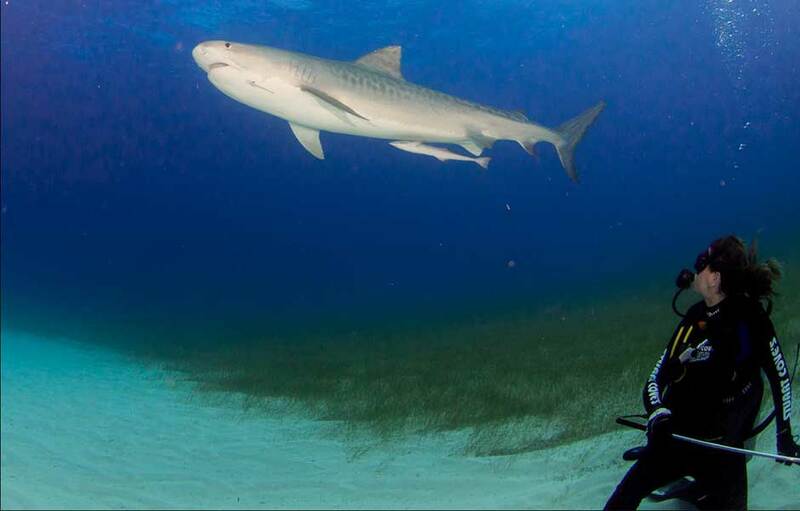 Do you want to know why All For Blue is interested in sharks? 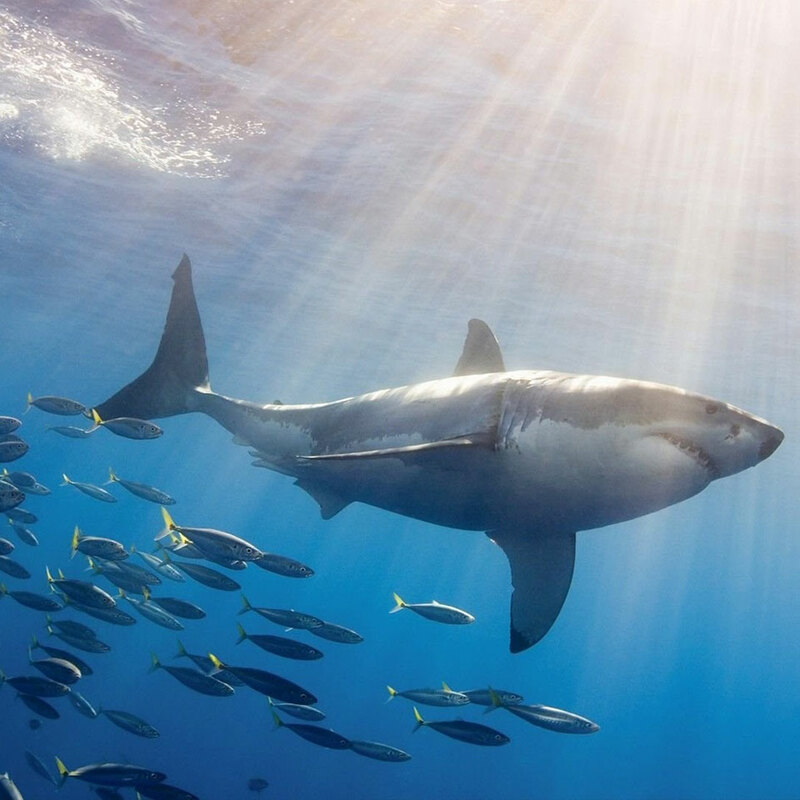 Sharks are the most misunderstood creatures in the animal kingdom. Mass culture with movies like Jaws destroyed their reputation and they themselves don’t have very good public relations. Katerina wants to be the PR person of sharks and restore the truth as soon as possible. …There are 506 species of sharks? And that the smallest of them fits in your palm, while the largest one is the whale shark and can reach up to 20m? 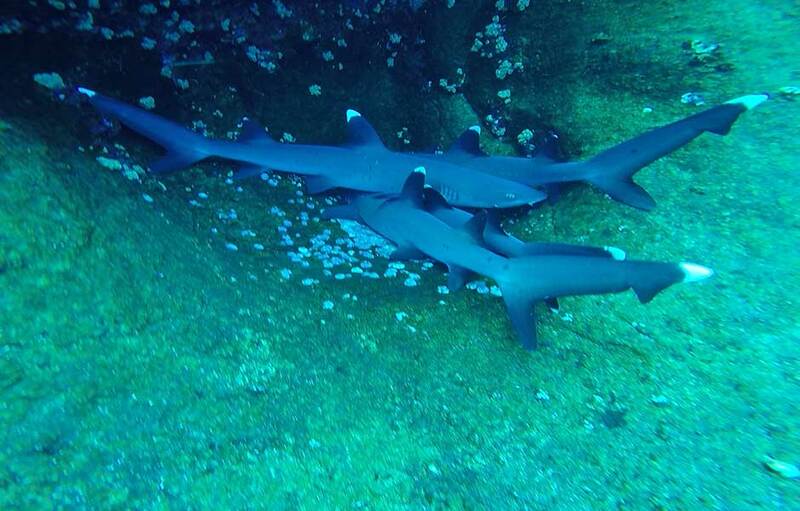 …There are 47 species of sharks in the Mediterranean Sea, of which 36 live in Greece? Including tope? 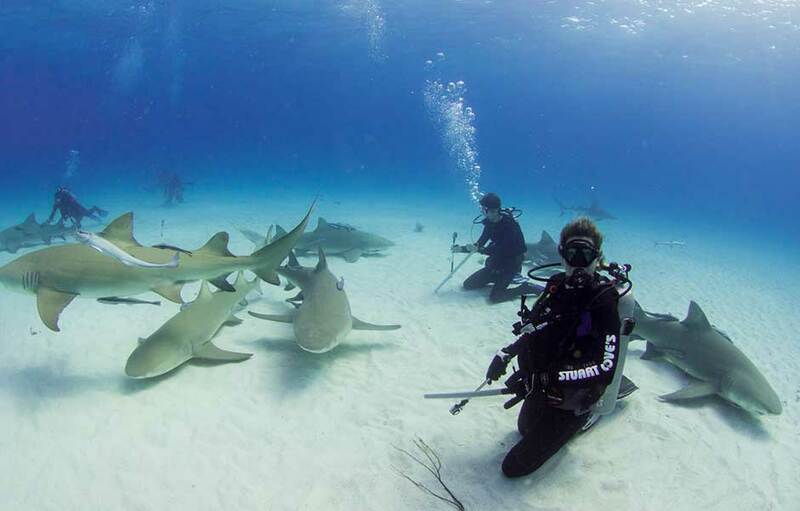 … Sharks play a critical role in keeping our seas and oceans healthy and in balance? Since they are known as “garbage disposals” which means that they are mainly fed with garbage and sick or weak fish, making them the official “cleaners” of the marine environment? … This wonderful species is endangered? And if we do nothing to prevent them from being extinct there will be more plastic than fish in the sea by 2050? – Teach children the importance of protecting our seas and oceans through fun activities. 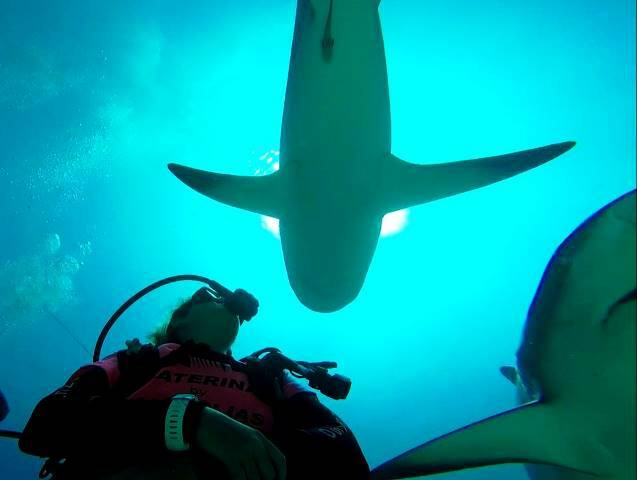 – Change their minds about the misunderstood sharks and offer them new knowledge about the magical underwater world. Inspire them to take action. I’m responsible for the material used for the seminars. All photos and videos are from my own archive (meaning they’re not indifferent or impersonal) and they’re definitely kid-friendly; no material is violent or scary. Yes. 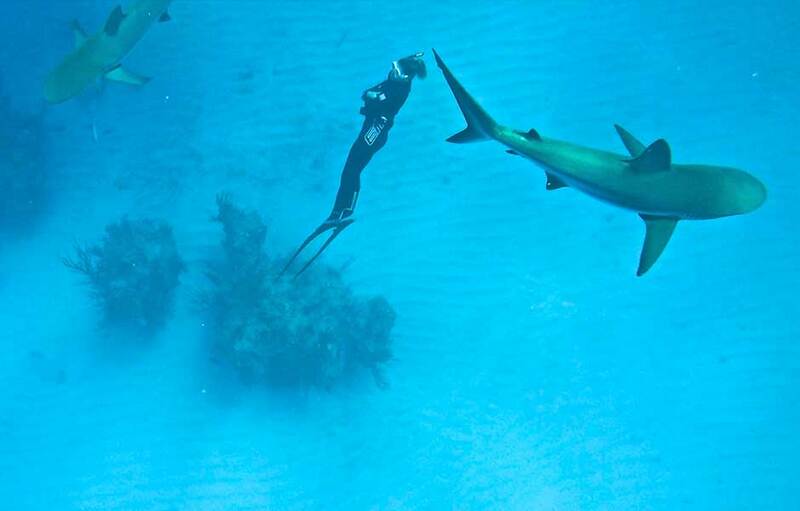 I’m a shark biologist, freediving and scuba diving instructor, and since 2016, when I got my diploma with Cristina Zenato in the Bahamas, I am the only Greek Shark Aware Instructor recognized by the universally certified organization Project Aware. I also participate in worldwide shark research programs, along with various specialized scientists (biologists, oceanologists, etc.). At the end of the seminar, which can be followed by a beach and underwater cleanup, each participant receives an internationally recognized participation certificate from Project AWARE. It lasts 90min in total. Right bellow you can find the application form. If we want to continue to enjoy the big blue, it is really urgent to take action; we are the last generation that can make a difference. 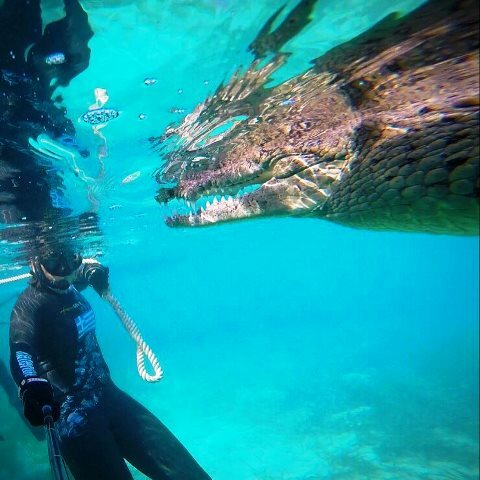 At All For Blue, we love the underwater world. We know that the greatest gift we can give them is conservation. Are you with us?